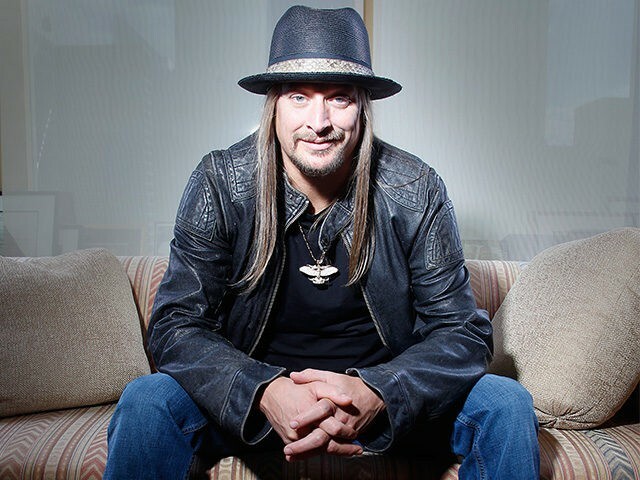 Kid Rock’s name has reportedly been floated as a potential Republican candidate for Michigan Democrat Debbie Stabenow’s Senate seat. According to Roll Call, the Grammy-winning rocker’s name was mentioned during a Michigan Republican Party convention last weekend. A spokesman for Rock has not commented on the report. The Michigan-born musician – real name Robert James Ritchie — has been shy about his politics, but has generally supported Republican candidates in recent years. Rock told Rolling Stone in 2013 that he’d describe his political beliefs as “more libertarian.” He campaigned for GOP presidential nominee Mitt Romney in 2012. After praising Detroit native Ben Carson’s presidential run, Rock endorsed Donald Trump’s White House bid in 2016. Stabenow has held the U.S. Senate seat since 2000 and won reelection in 2012 with 58 percent of the vote. Trump won Michigan in 2016.